“The greatest happiness of life is the conviction that we are loved; loved for ourselves, or rather, loved in spite of ourselves.” ~ Victor Hugo. February, being the month of love, I decided to go all out on red to bring out the woman that I am- passionate. I picked out this little red dress to express this. Shoot Location: K.I.C.C, Nairobi, Kenya. Eish Rael na Chebet. Where did you guys get those hot red dresses? Wow…I like everything. You guys are an amazing team. Now, this piece was long awaited! Red brings out the girl in you! I should’ve been part of this shoot but oh well seems that nowadays I have become a lazy cow! Keep on keeping on! My fave blog of course after ya BIko Zulu tihihi. Muchos amor. 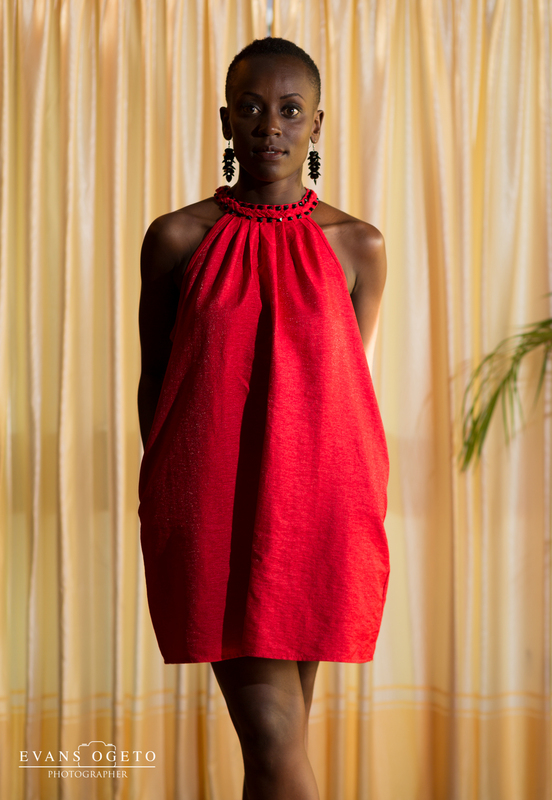 African beauty, bold, strong, provokative yet lovingly soft! Pleasurable to see you in such an eye catching colour love month not withstanding.You HAVE pulled it off effortlessly and elegantly. 🙂 sasa hiyo ndio pressure…. Lazma we mount pressure of HE will be missing out on the mi-legs! I am with Faith on this one…dresses that have color oh yes indeed! Like the one you wore in Nakuru. Spectacular shoot! Bold vibrant colors,so beautiful. Much love from Ghana, Rael! She’s A Tomboy is about this section of a woman’s wardrobe that is not much talked about. A girl’s secret admiration and ownership of what is conventionally considered as menswear, a classic display of boldness, comfort, love and public admission that this accounts for the highest percentage of my daily wear.